You are here: Home / Sewer / What Causes the Main Sewer Line to Clog? What Causes the Main Sewer Line to Clog? Simple clogs can turn into big messes at the main sewer line so it’s important to know what causes clogs in your plumbing system and be more aware before letting certain things go down the drain. 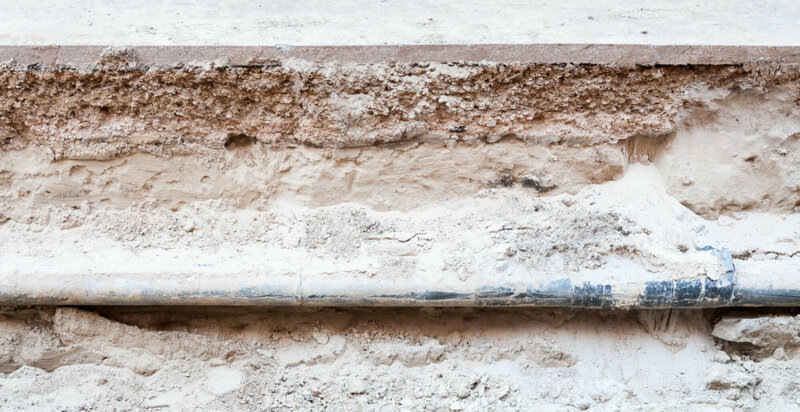 Read on to learn what causes the main sewer line to clog so you can avoid it happening to you. Main sewer line clogs are among the top plumbing-related problems you’ll encounter as a homeowner. Yet such clogs are common and can cause damage that’s difficult or expensive to fix. It’s hard to effectively deal with sewer drain clogs if you don’t know why they happened. Tree roots are one of the main culprits. If tree roots are big and strong enough, they can penetrate sewer lines and form root balls that cause sewer blockages. Tree roots can also wrap around a drain line and crush it. There are chemicals you can use to kill roots and remove them from the pipes. But don’t use them repeatedly because they can kill the tree. You can also prevent this problem by getting rid of trees directly above or near the sewer line. Planting trees away from the sewer line helps prevent the problem. Grease, oils and fats commonly cause sewer drain clogs. Although it starts as a liquid when it enters a sewer line, FOG eventually hardens and lodges inside the line. Solid FOG traps debris leading to massive sewer blockages. Well, don’t pour FOG down the drain. You can also help solve this with regular drain cleaning or investing in a grease trap, a rectangular device that helps prevent oils, fats and grease from entering the drain line. These are usually the most common cause of main drain clogs. Baby diapers, tampons and other objects flushed down the drain will lead to blockages. To prevent this, throw such items in the trash. When sewer pipes get old, they crack, break and easily collapse. This can lead to severe sewer problems. If your pipes are old, replace them as soon as you can to avoid such problems. This not only prevents blockages, it makes the sewer line more efficient. Sewer drain clogs can also be caused by bad plumbing connections. To avoid this, hire a qualified, certified, and experienced plumber. This helps ensure all your plumbing projects are done right the first time. Seek plumbers who work for large and reputable plumbing companies. Such companies have tough policies to ensure their people deliver exceptional results. If you have a sewer line problem, schedule an appointment with the experts. Main sewer line clogs can be expensive to fix and they can reduce the value of your home. For this reason, ensure you do everything possible to prevent them. If the damage already happened, call a competent and experienced plumbing expert to help you fix it right away. You’ll find more informative and helpful posts when you visit our blog.